You can enjoy delicious, clean, clear water from air with the new Aer AquaTM Mini. 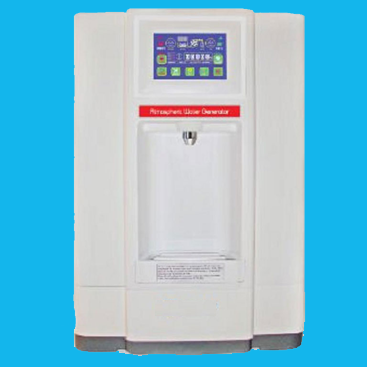 Atmospheric water generators produce water based on the temperature and humidity in the air. Each of our units can produce up to four gallons of water per day based on the dew point in your area where the unit is placed. These units produce the purest water available on the planet. They have been tested over the last 12 years and are proven reliable. They are available in both the up-right and table top models. Buy now for only $1,995 with flat rate shipping inside the US for only $150. Tax in the amount of 9.25% is charged for California residents.